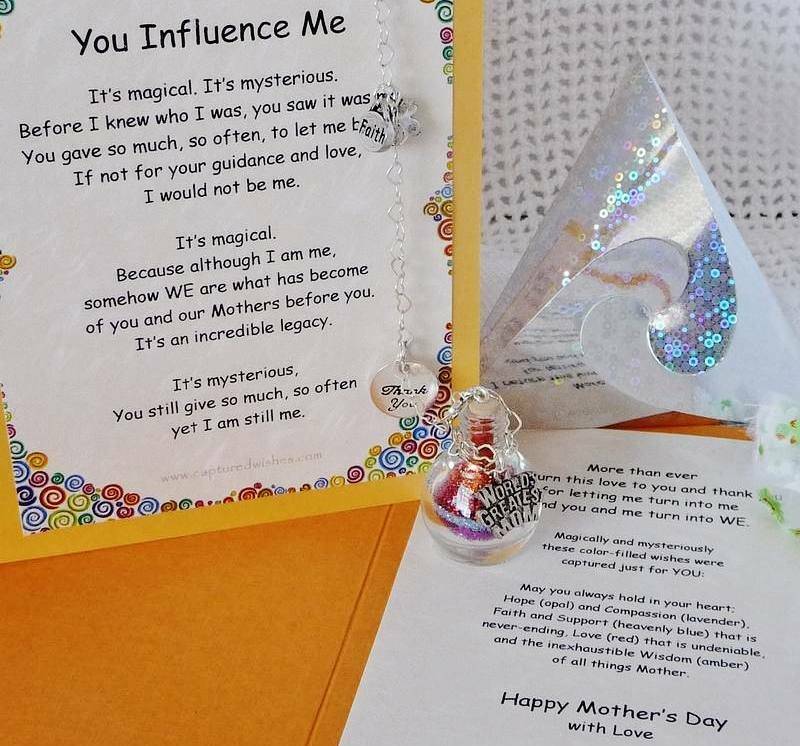 Seeking inspiration for your Mom this year? Mothers Day gifts ideas don't come much better than the Art of Mothering from Captured Wishes. The Art of Mothering is a special gift, designed to be given by a daughter who has her own children. Are you one of those daughters who suddenly realizes with great admiration the love that Mothers hold in their heart for their children? AND you just have so much gratitude that you want to express it in the most unique and loving way? Get ready to give the most creative Mother's Day gift with this complete package. All you need add is your love and signature. Remember how your Mom always used to say that you can never bridge the generation gap? That until you have children of your own, you just won't understand? Well, the Art of Motherhood Captured Wish sums up that eternal circle. Present this to your Mom on Mother's Day. We guarantee that she'll love it. The bottle (27mm height including cork x 22mm wide) contains carefully layered Fairy Dust, explained by the color key.